I have to admit, sometimes it’s a pain striving to live green all day, everyday. It takes a lot of brain power (not sure what that’s says about my brain!) and a lot of effort. It’s not easy being green! …take out multiple bins on trash day instead of just one trash (landfill) bin. …nag my kids to put their _______ in the right bin and not just toss it in the trash. …tear apart packaging so that I can recycle every possible part instead of dumping the whole thing in the trash. …have stuff pile up while waiting to be dropped off or mailed away to be recycled or reused instead of putting it all out with the trash. …make the time to drive to the recycling center to drop off stuff to be recycled that doesn’t get picked up from my curb. …search online to find out how to get rid of something without putting it in the trash and sending it to the landfil. …pick stuff out of the trash to put it in the right bin so it can get recycled. …spend money to ship items for recycling instead of putting them in the trash. …harass my kids about not taking 30 minute showers to conserve water. …amass plastic bags to be dropped off for recycling instead of sending them to the landfill where they will sit for a very long time. …look for products that have as little packaging as possible so there’s less trash in the end. …make sure I don’t forget to hit the farmers market to support local farms. …have to buy produce from far away places that use more fuel to get to me. …have to pay more for organic foods just because I want to support sustainable farming practices. …nag my kids to turn off lights and electronics when they aren’t using them to conserve energy and natural resources. …remember my reusable shopping bags so I don’t have to use a plastic one. …not be able to find “greener” versions of products I buy at regular stores. 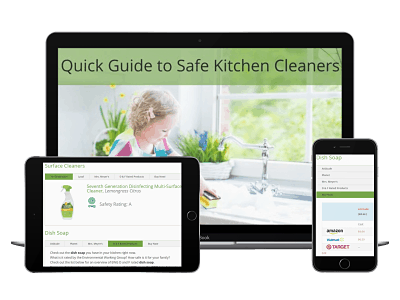 …search for the safest green cleaners for my family and the planet. …hear my kids whine because I refuse to buy plastic water bottles or individual snacks because they make create more trash. Now That I Got That Out! So that is a long, complaint-filled list, huh? I feel better getting all that out!! 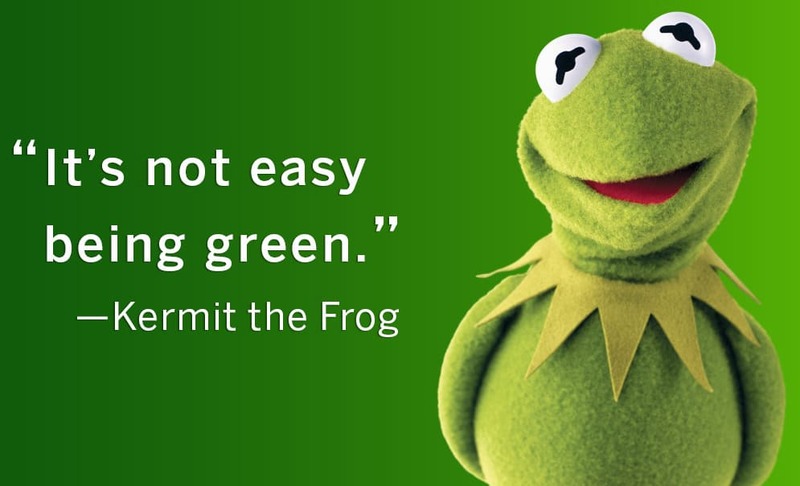 And, I do get it – it isn’t easy being green (right, Kermit?!). It takes a lot of extra work on your part. Extra errands, extra research and extra planning. However, I wouldn’t have it any other way. I can’t ignore the fact that my family’s actions have consequences and we can make choices, no matter how busy we are and how easy NOT being green can be. So even though it’s less work to just drop it all in the trash can, I won’t dwell on, “It’s not easy being green!” but instead feel good about the extra effort we are putting forth and the difference we are making! !